For a lot of people, a mani-pedi session would be at top of the list of relaxing/fun things to do, but for me, it hovers close to a visit to the dentist. As much fun as having someone else paint my nails can be, and as much I love a relaxing foot massage, I also have an overwhelming fear of sharp objects nipping away at my fingers. While I do drag myself to a salon every once in a while, I find it infinitely more relaxing to just take care of my hands and feet myself. A must-have in my nail-care routine is a good cuticle balm, and so far the Dior Creme Abricot has been my favorite. It's a bit sticky, though, and best used at night. 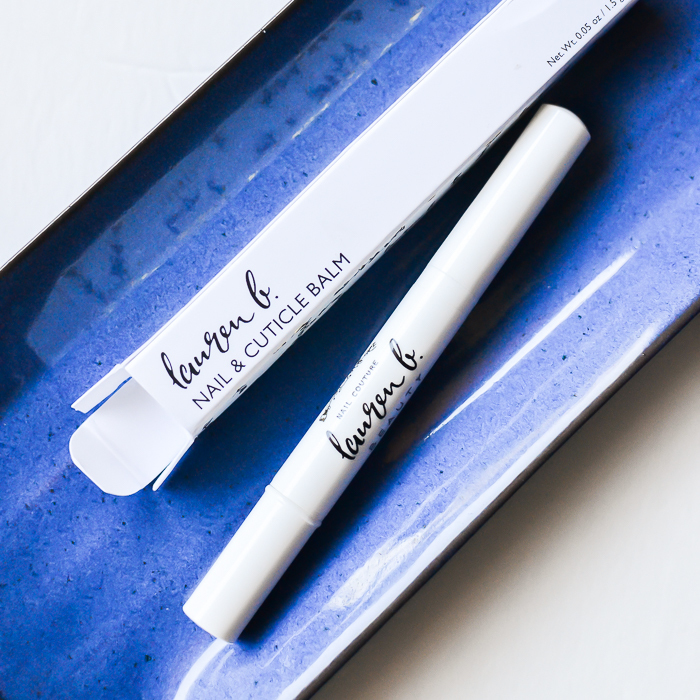 For the day, I prefer something lighter and fast-absorbing, and for a while now, I have been using the Lauren B Nail and Cuticle Balm. Scroll on for more. 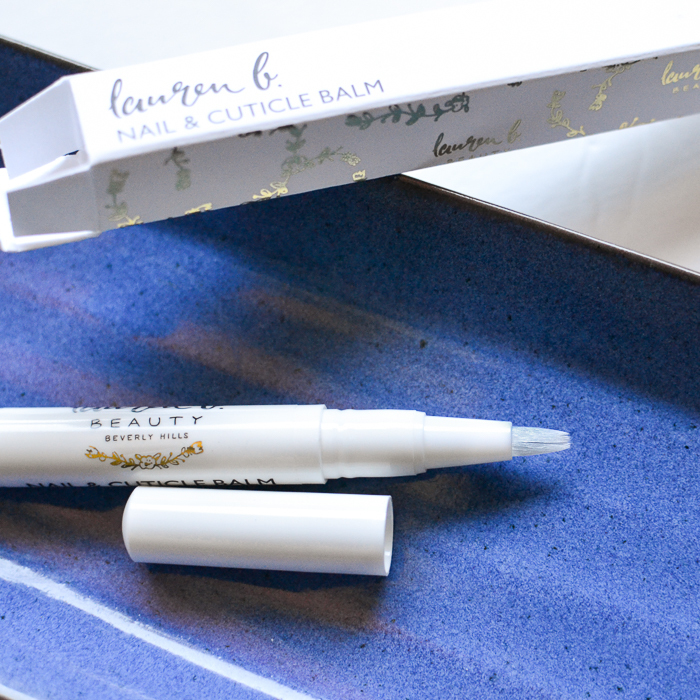 The Lauren B Nail & Cuticle Balm is housed in a convenient click-pen packaging that makes it easy to apply as well as to carry around in the bag. 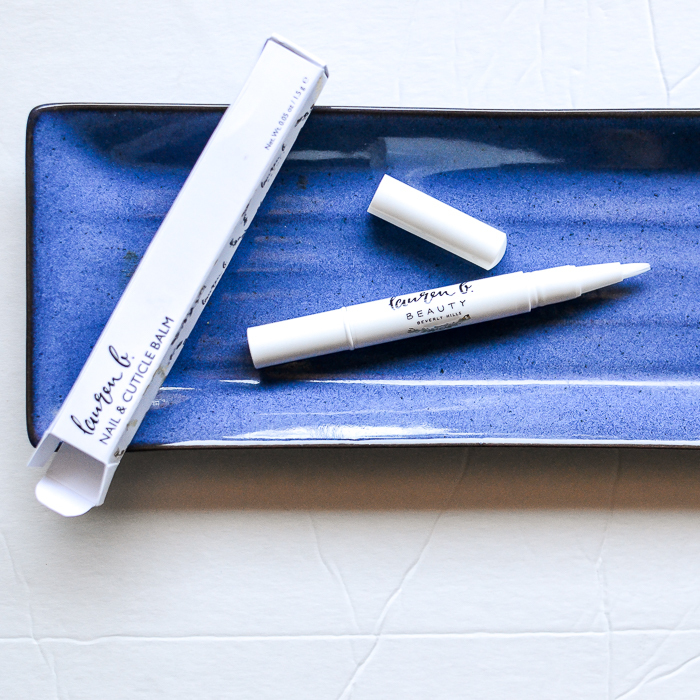 The formula feels like a light oil that is easy to brush on to the cuticles/nails and has a light pleasant scent. Despite how light it feels, the balm does a good job of keeping my cuticles moisturized and healthy. Because it's so easy to brush on precisely around the nails, I don't have to worry about my fingers being greasy or leaving any residue on to my work surface. It's a bit of a splurge, but the Lauren B Nail & Cuticle Balm gets my vote for doing an awesome job at keeping my cuticles looking neat and healthy.